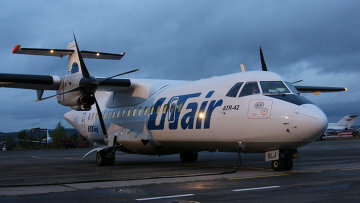 Four firms seek bankruptcy of UTair air carrier | Russian Legal Information Agency (RAPSI). MOSCOW, March 20 (RAPSI) – Four companies have filed bankruptcy claims against UTair airline with the Commercial Court of Khanty-Mansi Autonomous Area, according to court records. The dates for hearing applications of Hydropromenergostroy, Inter, Yugan-Union card and Flash Light financial company have not been scheduled yet. UTair is ranked among Top 5 of Russian air carriers.